Have you ever had food poisoning or traveler’s diarrhea? You may not even recall exactly, however it may have contributed to your current situation. The top bacteria that can cause food poisoning, Shigella, Salmonella, Campylobacter, C.difficile and E.coli all release a toxin called cytolethal distending toxin B. Lack or improper washing of hands after using the toilet. *Sorry, but I can’t even tell you how many times I see this! Handling pets, especially reptiles and birds. Consuming raw, undercooked, or unpasteurized foods and liquids increase a person’s relative risk. CDC and multiple states investigated several multi-state outbreaks of Salmonella infections linked to contact with live poultry in backyard flocks. 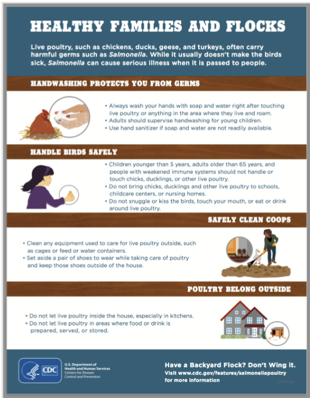 People can get sick with Salmonella infections from touching live poultry or their environment. These birds can be carrying Salmonella bacteria but appear healthy and clean and show no signs of illness. “Unpasteurized milk, consumed by only 3.2% of the (U.S.) population, and cheese, consumed by only 1.6% of the population, caused 96% of illnesses caused by contaminated dairy products,” according to the 2017 report by the Centers for Disease Control and Prevention. As consumption of unpasteurized dairy products grows, illnesses will increase steadily; “a doubling in the consumption of unpasteurized milk or cheese could increase outbreak-related illnesses by 96%”. My intention isn’t to blame or scare you but to inform you. And possibly help explain why you have SIBO / IBS so you can move forward on what to do about it. A review of 45 studies [Klem, et al. Gastroenterol 2017] concluded the risk of post infectious IBS is 1 in 9 people who had experienced food poisoning. Risk factors include: severity of the food poisoning, being female, having blood in the stool, antibiotics needed, lasting >7 days, psychological factors. Depending on the person, the body may have an immune reaction to cytolethal distending toxin B from the bacterial food poisoning that causes molecular mimicry or autoimmunity to vinculin. Vinculin plays an important role in gut motility and the action of the migrating motor complex. Thankfully there is a test! Cutting edge research by scientists at Cedars-Sinai Hospital in Los Angeles has led to the discovery that two antibodies, anti-CdTB and anti-vinculin, are elevated in the blood of patients with IBS-D and IBS-M. I appreciate the Cedars Sinai research team and have spent time with the amazing individuals who have spent years to provide this information. While there are other companies offering testing for anti-CdTB and anti-vinculin antibodies, IBSDetex (Quest Diagnostics), IBSCheck (CommonWealth), and Array 22 (Cyrex), I recommend the company ibs-smart™️ that provides the most up-to-date testing available. 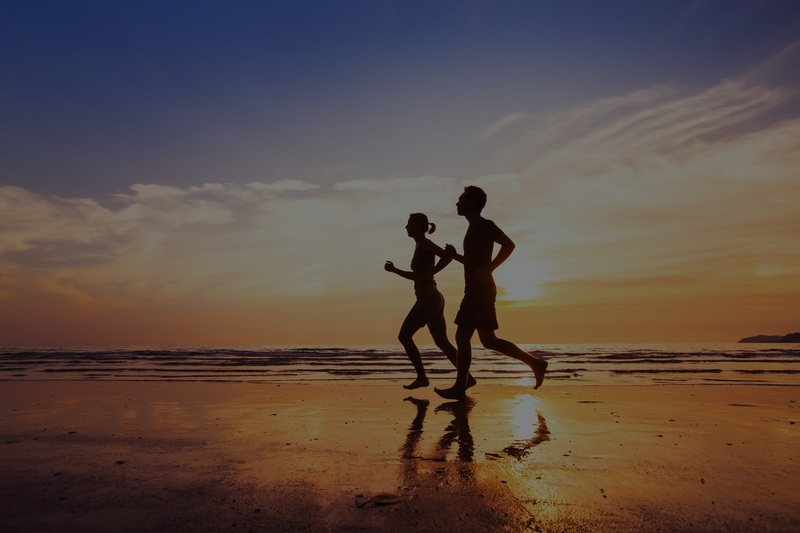 ibs-smart™️ uses the latest innovative technology to measure the levels of these antibodies in your blood and determines your likelihood of having IBS-D or IBS-M. The test costs $220 and most insurance companies cover at least a part of this cost. If your ibs-smart™️ results are positive, you have greater than a 95% certainty of having IBS. However it is also possible that you have other conditions along with IBS. This test is usually negative in patients with Crohn’s disease or ulcerative colitis. However some might have IBS in addition to Crohn’s or Colitis. An inconclusive test means that you might still have IBS, but you don’t reach a threshold of biomarkers that indicates IBS from a previous event of food poisoning. A positive test result is important to know because it increases the importance of avoiding food poisoning in the future, as it could worsen your IBS. I personally follow Food Safety News for updates and it has come in very handy. One time I knew not to eat the possibly E.coli contaminated romaine lettuce grown in Yuma, AZ served at a conference I was attending WEEKS before it was known to the general public. I did my best to gently inform people at my table, but unfortunately I wasn’t very well received because it wasn’t hashtag worthy at the time. All I know is I was extremely grateful to be able to make an informed decision. If you have experienced food poisoning or travelers diarrhea, have been suffering with GI discomfort and would like to get some relief, please visit my website to schedule a visit with me at my Los Angeles practice or via Video Conference. Missed one, joking here, although not funny. Dunkin Hines just had a recall on 4 of it’s cake mixes for Salmonella. I’ve had food poisoning, but it’s been about 9 years since I’ve had it, the last one was what I refer to as the “sickness of tired”, I was in Mexico and we were pretty remote, I ate something prepared in an open marketplace. For two days I could barely lift my head off the pillow. Eventually, (maybe just me), we develop an eye for food quality situations. Still, it is a rarity that I will eat out, and few places that I will eat out, their is a newer book out that sounds like a fun read. It’s called “Did you just eat that”. On the other hand, food poisoning has become rather common I believe.